Part of our Diamond Slider collection: A single brilliant Diamond in a solid Gold setting, strung freely onto a fine chain. 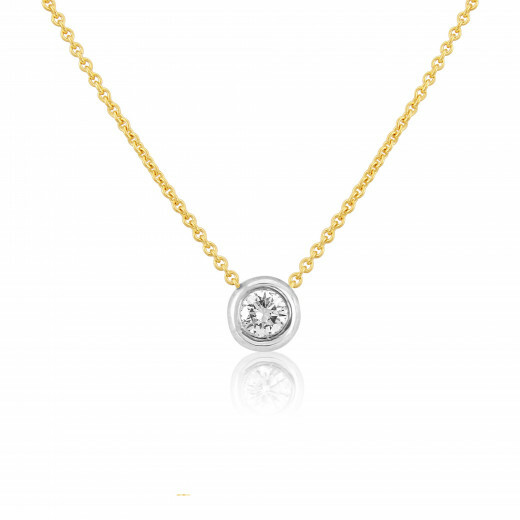 The Diamond slides along the chain as you move so that it always hangs in the centre. Always sparkling, never out of place. This Slider has a .06ct Diamond in a round White Gold setting with a highly polished finished and a Yellow Gold trace chain.